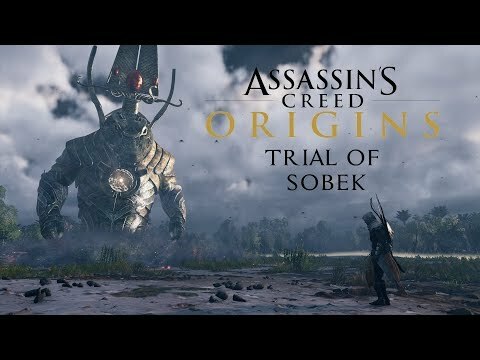 Подробное руководство по достижениям Assassin's Creed Origins на русском языке. 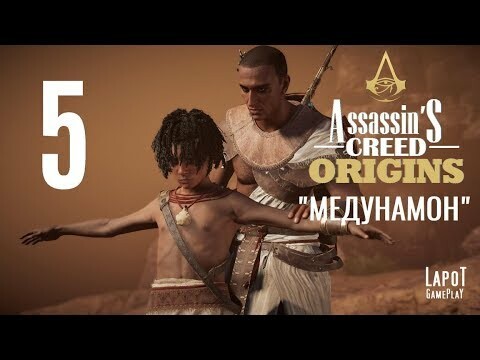 AC: O Самый полный гайд + ИСПЫТАНИЯ БОГОВ! Всем привет, решила по мере прохождения AC:O кидать сюда гайд по достижениям. A comprehensive guide on how to "Praise Senu", as the loading hint suggests you should do. 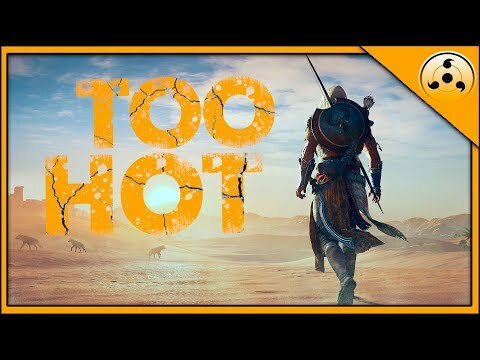 Прохождение Assassin's Creed Origins. Часть 5 "Медунамон"
Without further ado, what did I like? Well, the sceneries of ancient Egypt presented by an excellent gaming engine. The main protagonist, Bayek, who has a little more depth (even though his inner driving force is the ever repeating revenge for the murder of a beloved one), than Ezio, Arno or the Fry twins, and he is a balanced mixture of seriousness and humor (instead of the campy one liners, his humor represents itself in a more subtle manner) that was brought to life by the excellent first time voice actor, Abubakar Salim. I liked the new in-game GPS system. You ride your horse or camel and you can set waypoints to which the ride takes you without having to sit by your keyboard. I liked the eagle/drone Senu, who can tag every enemy or point of interest in mere seconds. And finally we have a hero who can climb on almost anything and doesn't get stuck! Now let's move to the "what I didn't like" topic. The plot that seems very tired and full of overused clichés. And killing a prime target is not fun anymore. The elaborate "special" kills requiring planning and sneaking are gone altogether. What we have now is a simple boss fight, and open confrontation that significantly degrades the experience and also seems totally unrealistic. And we kill a bunch of historical figures in quick succession. Toward the end the game fails to provide a convincing motive for all the killing. The writers at some point might have been sniffing something stronger then root beer, because in his mumbled monologues Bayek abhors grave robbers, tomb raiders, poachers etc. and yet Bayek does all the killing, grave robbing hunting to make gold (6-10 at a time) for upgrades (that cost 3-5 thousand), not to mention that all those weapons can be found having higher levels, which renders the upgrade option totally pointless. And killing animals is not just elective, but mandatory to finish certain missions. There are even hunting areas to eradicate all lifeforms right next to a shrine where the mission is to protect the same type of animal! And why isn’t there a present day story line anymore? 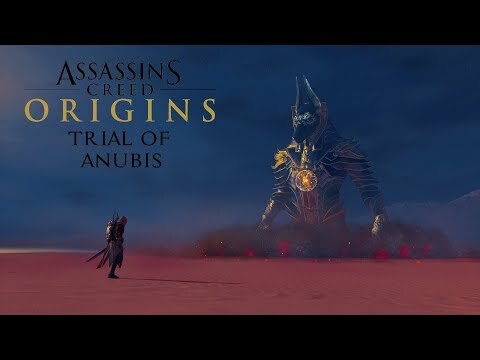 Please Ubi, don’t give that crap about Animus machines and people who can now enter just anybody’s past. Just lazy. Back when we had Desmond, the ancient plots had more meaning, context. Now, nothing makes sense, games are squeezed out of the "factory" just to showcase different locations and times. But since everything seems to be the same each time, I see no point from my perspective. The gaming mechanics isn't that good either. The fight system is rehashed yet again. For the worse. I don't see why parrying is better than blocking. Especially the way the character animation is done. Utterly ridiculous. Enemies zig-zag and back away with such high speed (jump on rocks backwards), it is difficult to keep up running forward trying to chop them! Because a sword fight is pure chopping. Roll and chop. And then, there is the big one. The game's leveling system. We can't attack just anyone anymore. Anyone who is 3-4 levels higher cannot be harmed AT ALL. Not even when they are ASLEEP! Whaaat???? Luckily sneaking is possible, there is a crouch button and there is high grass. And it is possible to lure guards by whistling to them. This made clearing out large military outposts and fortresses fun and exciting. Until I got to lvl 55 (by playing the two DLCs). Even my jock-strap was Legendary (Bayek's gear is rated "normal", "rare" and "legendary"). I could just enter through to front gate and go for the captains who stroll around like they were hot s.h.i.t and smacked them in the face once and they were dead hot s.h.i.t. PS: What's up with that Overheating achievement? 7 hours of walking in the desert and NOTHING! Graphics are beautiful especially if you're in the right place at the right time, and the sound is great too. Game has a ARPG style setup when it comes to weapons and gear, but it's boring, dull, and falls flat. It's nothing like playing a true ARPG. There is a grind if you don't decide on doing almost all the content - otherwise if you do everything leveling wont be an issue, and you'll actually be over-leveled for most of the content early on. The biggest cons for this game for me is not that the world is HUGE, but it's HUGE and "empty". Yeah there is NPC's around locations, and animals roaming around etc. There just isn't anything to do other than go to every ? on the map and do the same thing over and over and over again. Area's have potential, but are let down to me because there isn't nothing to do in the area. You either clear out a camp, collect pointless treasure chest, kill pointless alpha animal. You will do that the ENTIRE game. It's very repetitive, and boring, and can burn you out if you do not play a certain way. Basically go through main missions until you need to level up, do side quests, continue main story. Also i forgot to mention the side quests SMH. There are SO MANY side quests and it's a good and bad thing. Almost all the side quests are the exact same, but with a different flavor. Some are interesting, but 90% of them are blah. The devs did do a fantastic job creating the world, and characters, and voice acting is great too. Sadly that's where it falls flat, because as i stated above other than going through the story it's a repetitive bore fest. It's been a long time since Ubisoft produced an AC game of this quality. Where the last three or four installments repeated the same old stuff over and over, Origins is a succesful attempt at revitalising the series as a whole. With new gameplay, a proper story and more quests than you will ever complete in a lifetime. Origins does away with the traditional progression system and now has an RPG like leveling system. You will find many different weapons with many different stats on your quest, giving you plenty of choice in how to slay your enemies. On occasion this can get annoying as you toss aside your 50th sword for a new one, but overall I'd say it works fairly well. 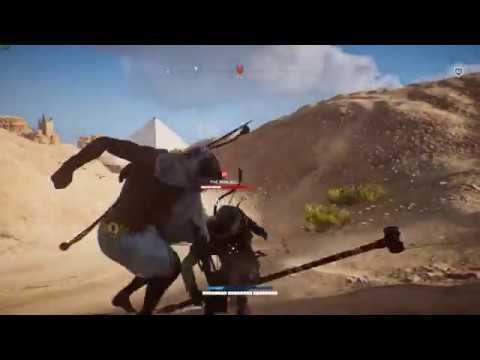 Luckily most equipment can be broken down into raw materials that can be used to improve Bayek's armor, blade, arrows and more. Getting all these things to their max level is a quest all of its own, and will require much hunting for animals, ambushing cargo transports and infiltrating the many forts dotted on the map for unique material. Assassin's Creed Origins is by far the largest AC game I've seen to date. The map is enormous, with many towns and cities to explore. Each will have their own side quests, some simple, some complex and lengthy. The main quest will require at least some side quests to be done to raise your level and equipment. Overall the main quest can be completed in about thirty to forty hours, but completing all the other activities on the map and upgrading all your gear will take a multitude of that. Special shoutout to the story. It's well written, and doesn't focus too much on the founding of the Brotherhood. Instead it tells its own story and weaves the origin story in where it fits. There are many call backs to the older games, which fans can surely appreciate. If you like Assassin's Creed this is definitely a title worthy of the name and hopefully a taste of where the franchise will go in the future. Highly recommended to get during a sale, but since the game can throw possibly a 100+ hours worth of content at you, it might even be worth it to you at full price.